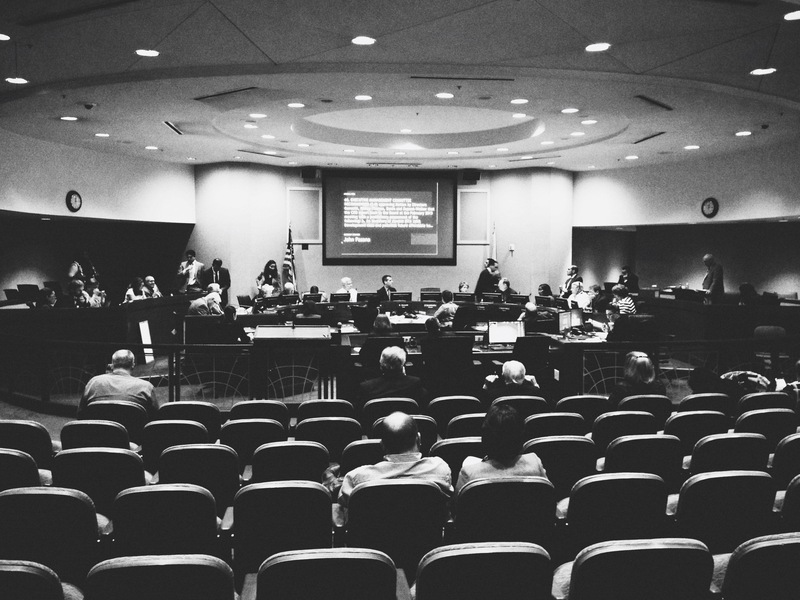 •The Board approved going forward with a technical study of two light rail alternatives for the Eastside Gold Line Transit Corridor Phase 2 study. One alternative would extend the line to South El Monte, mostly along the 60 freeway, and the other alternative would extend the line to Whittier but eliminate the Garfield Avenue section of the route (the technical study will seek to find a different route). Please see this earlier Source post for more about the project. The technical study will precede the start of the final environmental study for the project. A motion by Board Members Diane DuBois and Don Knabe asked staff to study potential connections with the West Santa Ana Branch Corridor project, which seeks to build a transit project between downtown L.A. and Santa Ana via an old streetcar right-of-way. •The Board approved a $44.4-million contract with the Los Angeles Sheriff’s Department to patrol Metro trains, buses and facilities for the first six months of 2015. The extension provides Metro staff with the time needed to complete the procurement process for a new policing contract, according to the Metro staff report. UPDATE: The next Board meeting has been scheduled for Thursday, Dec. 4. I keep hearing about extending the light rail trains to the east. How about extending the Green Line in the South Bay? The traffic around the South Bay area continues to get worse and there are always major backups on the 405 Freeway. I hope that the Gold Line Eastside Phase 2 will end up in Whittier. I also hope that the Santa Ana Brach will connect with the Green Line, Metrolink and the future Gold Line. I am also disappointed with Metro to not connect the Green Line to anything at Norwalk and the 105’s carpool line didn’t connect with the 625’s carpool lines. If metro wants the 105’s carpool lines to become ExpressLanes. It better sort out the 105’s rail and carpool lane connection problems before it implements the ExpressLanes on the 105. People are not going to pay money if the 105 has passenger and traffic bottlenecks in Norwalk. I am _truly thrilled_ that they see the wisdom in investigating this now at this point. By examining this now, it could lead to a better choice in the Goldline alignment. If they see that connection of the Gold Line with the WSA line (and the Green) will bring flexibilty and options to riders, this could lead to a much better system. Just like the study for a connection between the Red/Orange NH station and the Gold line. Adding these connections outside of DTLA provides for a much stronger and more flexible system. I am glad to hear that the Board approved the technical study for the Gold Line Eastside Phase 2 to Whittier, but was disappointed that the S. El Monte option wasn’t thrown out. Light rail needs to go through the populated areas that exist between East LA and Whittier – not go down the side of a freeway through a Superfund site and a natural habitat (i.e. Whittier Narrows) where nobody lives.